Sponsoring the Festival is a great way to promote the cinematic arts and support a popular community event, in addition to benefiting from unique marketing opportunities. 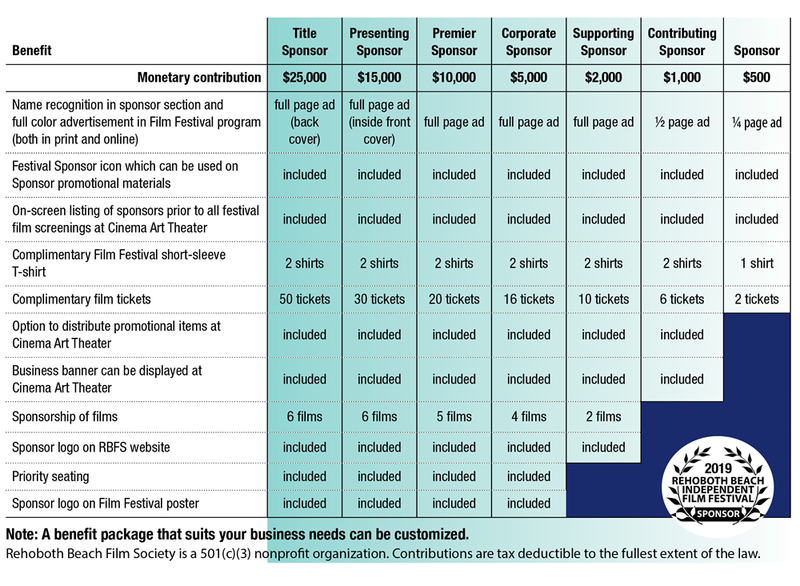 Festival sponsorship offers a wide range of benefits at seven different contribution levels, including a color advertisement in the program, name recognition on display at the festival Box Office, short-sleeve T-shirt, complimentary film tickets, and much more. For more information, please contact Sue@rehobothfilm.com.